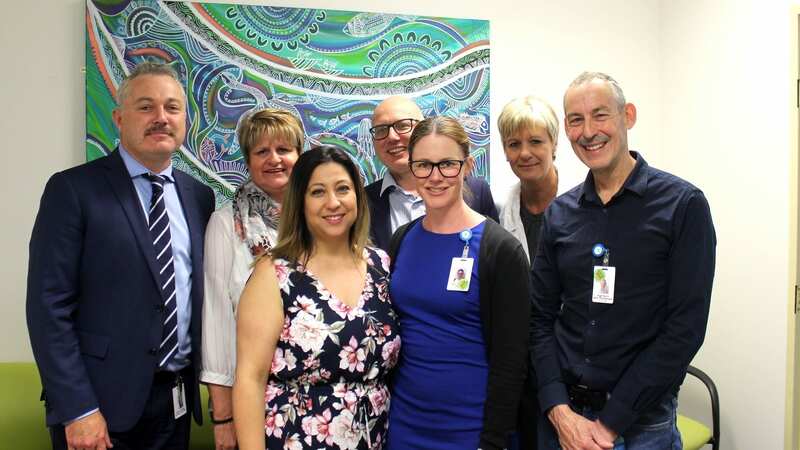 They say a picture is worth a thousand words, and last week, we unveiled an artwork by Yorta Yorta woman Kahli Luttrell from Epping, at the Day Oncology Unit at Northern Hospital Epping. The picture signifies our continued and ongoing commitment to support our Aboriginal Community. It is as the artist has depicted, a journey that tells its own story. Funded by an Aboriginal Cultural Safety Program Grant, the artwork is part of a larger project that aims to improve cultural safety at Northern Health. Besides commissioning an artwork from a local Aboriginal artist, the project also includes consultation with local elders to identify priorities for inclusion, displaying of plaques acknowledging the traditional owners of the land, and the development of a sustainable cultural awareness eLearning training package. 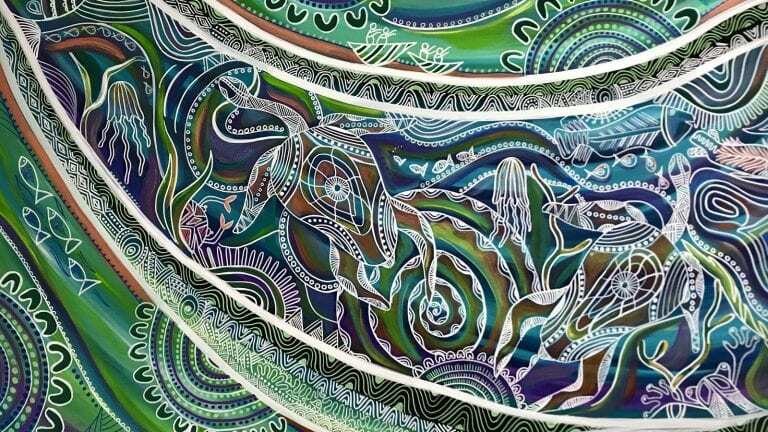 The ‘Koorie Contemporary’ artwork by Ms Lutrell depicts the patient journey, with its seasons and struggles. What is evident from the painting is that those on this journey are not alone. They ride on the back of turtles; symbolising persistence, strength and resilience. It doesn’t matter if the road is long. A caring and supportive community is always at hand, represented by the dots and circles – a recurring motif throughout the painting. The soothing and calming colours, bring a sense of peace. This painting’s story is far from over. As this project signifies Northern Health’s ongoing commitment to support our Aboriginal community and pays respect to the traditional custodians of the land, past and present – it will also be part of their future. It further strengthens our connections with our diverse community and our journey towards providing a holistic and culturally appropriate service, in turn, providing trusted care to our northern community. So, like all good stories, we end by saying ‘to be continued’.